There's plenty to love about Peterborough, whether you're a fan of history, literature and architecture, a keen country rambler or just looking for a good night out. We've made you this handy guide, ranging from all things historic to the best pubs and clubs the city has to offer. Check it out and get excited about your new home! Peterborough is steeped in history. Peterborough's plentiful heritage and examples of beautiful architecture means the city has loads to offer to tourists and new students alike. There's plenty to learn, experience and celebrate about your new historic home city and here are some of the top attractions we think you shouldn't miss! 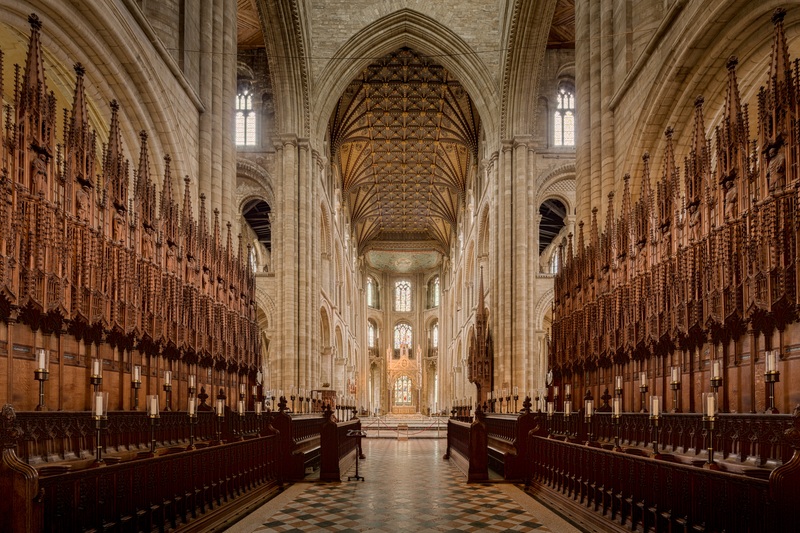 Visit Peterborough’s magnificent Norman Cathedral. It has beautiful grounds and majestic architecture and is also famous for being the burial space of Mary Queen of Scots. Follow the heritage trail to be transported back in time at Peterborough Museum. One of the best events the museum offers is the Ghost Walk. A chilling late night walk through the city centre filled with spooky stories, will make your blood curdle as you hear the story of the museum’s most notorious ghost, the ‘Lonely ANZAC’, Thomas Hunter. Rural Peterborough is also a hotbed of literary history, the once home and inspiration of the poet, John Clare. Get your poetic inspiration flowing and visit John Clare Cottage and Sacrewell Farm and Country Centre with its historic Watermill. The city is also famous for the historic Flag Fens, over 3,500 years old, you can discover what life was like for our prehistoric ancestors at the finest Bronze Age archeological site in Northern Europe. There’s also the beautiful Elizabethan manor, Burghley House on the outskirts of Stamford. Discover your inner Jane Austen and imagine yourself as Mr Darcy or Elizabeth Bennett at this beautiful house which featured in the set of Kiera Knightly's 'Pride and Prejudice' (2005). Oh yes, and it's also home to the illustrious Burleigh Horse Trials. See a show or pantomime at the Key Theatre on the Embankment. Go to see our home team, POSH, play football at London Stadium. Only a short walk from campus! The Green Backyard is a vibrant, community growing project in the heart of Peterborough. Get your hands dirty and find out how committed Peterborough is to improving the Environment in our city. Showcase Cinema shows the latest films and has recently updated the cinema screens. Have you ever tried Ice Skating? Planet Ice is the best place to slip and slide your way over the ice, or to see some local hockey games. Nene Valley Park or Ferry Meadows has a new water sport centre, they offer everything from wind surfing to rowing to paddle boats! We also have our very own steam train, sometimes you can even hear the train blow the horn and chug past campus. Nene Valley Railway takes you on a journey through Peterborough’s countryside.